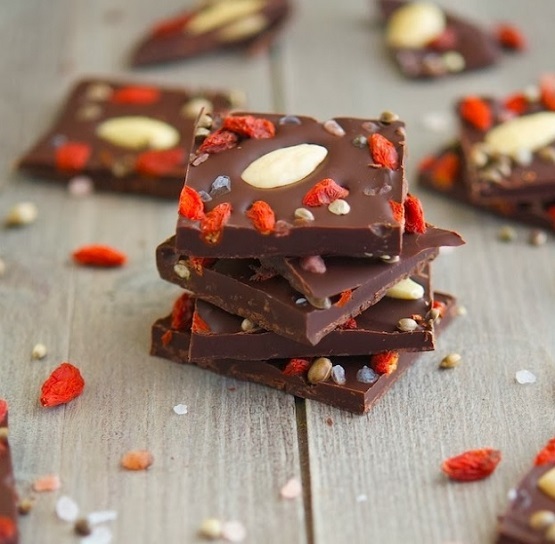 Raw chocolate contains no artificial sugars, zero fattening dairy products and is low in caffeine. Raw chocolate is made from organic cacao beans which grows on the cacao tree of Central and South America. As they are not roasted or overly processed in any way unlike conventional chocolate, organic cacao beans retain their valuable nutrients, including vitamins (B1, B2, B3, B5, B9, C & E), minerals (magnesium, calcium, chromium, sulphur, zinc, iron, copper, potassium and manganese), fibre, antioxidants, omega-6 fatty acids, PEA (also known as phenylethylamine), tryptophan and serotonin. This super easy raw chocolate recipe is the ideal place to start if you are to still try raw chocolate! 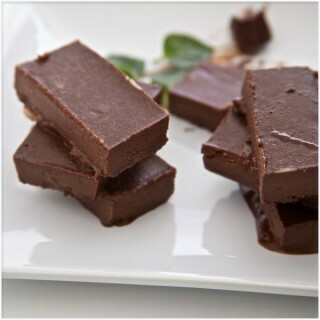 Not only is it super easy to make, but it showcases the natural rich delicious taste of raw chocolate perfectly. Firstly gently melt the cacao butter. When the cacao butter has melted, carefully pour it into a blender and add all the other ingredients. When blended into a smooth consistency*, pour into a container and set in the freezer for approx 1 hour or otherwise when you can see the chocolate has set. *When the mix is still runny, when you have poured it into a container, now is the opportunity to be creative! Try topping (or mixing in!) with your favourite dried fruits or nuts for extra flavour and texture. Delicious!